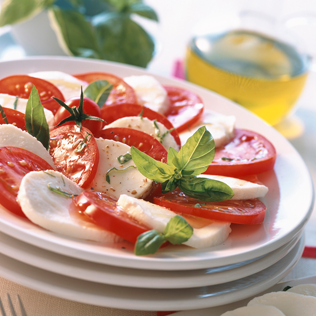 In a small bowl, whisk together the olive oil, vinegar, salt, and freshly ground black pepper to taste. 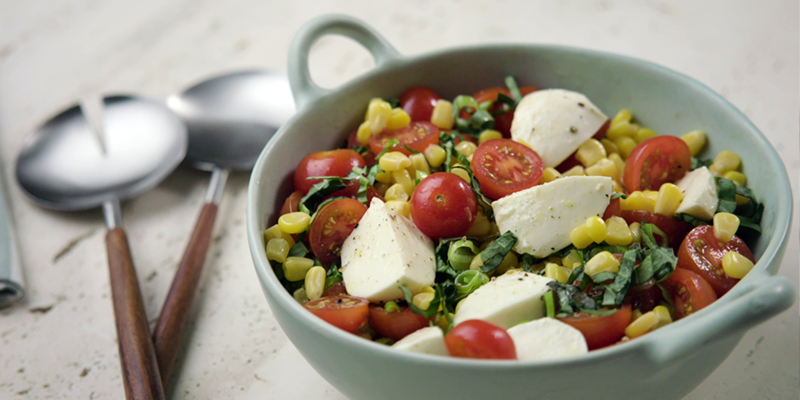 In a large bowl, toss together the corn, tomatoes, scallions, Galbani bocconcini, and the dressing. 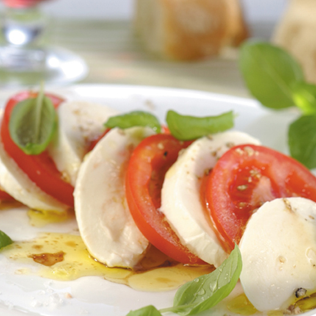 Right before serving, sprinkle with freshly sliced basil. 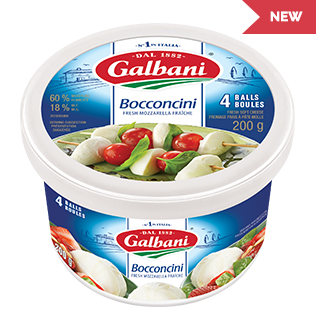 Bite-sized balls of Fresh Mozzarella with a delicate, creamy flavour and soft, moist texture.